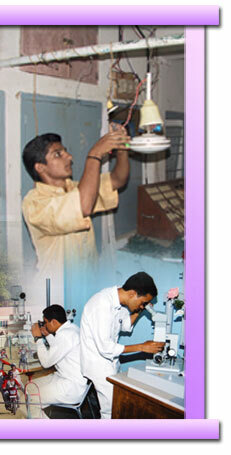 It takes several years for a college to attain the status of a university. Bureaucratic red tape demands tedious committee evaluation of curricula. Also a history of success in providing education must be proven. 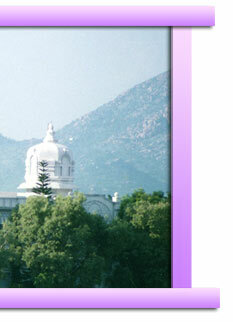 Furthermore, Puttaparthi was a remote area then without a permanent road. Consequently, many in the education field including eminent men like Dr. Bhagavantam, a former Scientific Advisor to the Government of India, thought this was absolutely impossible; one year was too less a time frame for an endeavour like this. 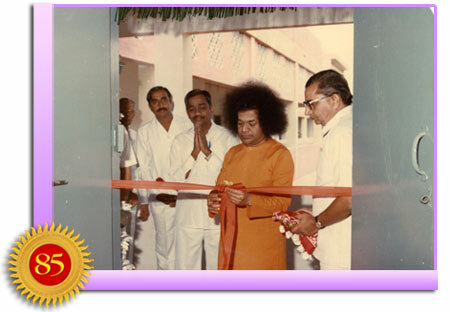 The following year on Vijayadasami day, Baba announced that the Sri Sathya Sai University would be inaugurated on 22 November, the eve of His 56th birthday. And, indeed, on that day the marvellous edifice of architectural beauty, situated on top of a hill, glowed in divine light as it received its accession to university status. True to His Word, beautiful blossoms have bloomed since then and through the fragrance of their selfless service and ideal lives, they have become harbingers of a future that is filled with hope, harmony and goodness. 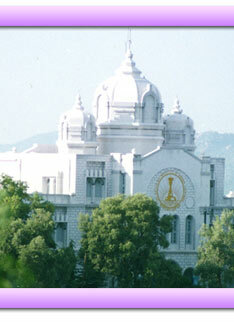 The Puttaparthi campus was linked to the boys' College in Brindavan and the girls' college in Anantapur. Consequently, all three campuses attained university status. 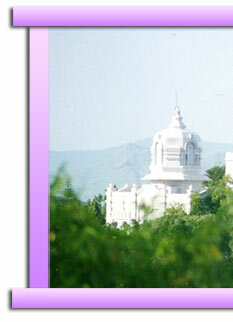 The college for girls in Anantapur was the first, established as it was in 1968. The priority that Baba gave to the higher education of girls indicates His emphasis on universal education irrespective of caste, creed, nationality, and gender. And this in a country where girls traditionally have been given very little access to education! 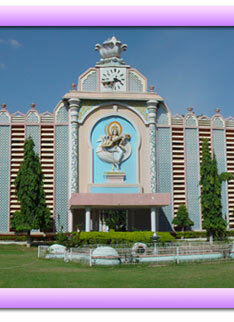 Those who enter the Anantapur Campus are considered the daughters of India who learn to revere their holy traditions; sisters to serve the needy and downtrodden in the villages of this land; wives to wed simplicity and sincerity in their marriages, and mothers to instill the ideals of service and spiritual discipline in the hearts of their children. But the boys were not forgotten. 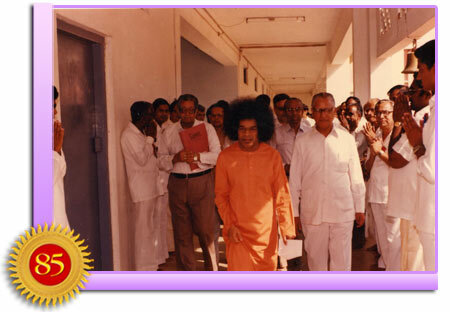 The foundation stone for a Sathya Sai College was laid on 16 March 1972 on a vast piece of land adjacent to Brindavan, near Whitefield. 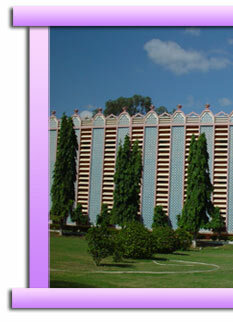 This became another architectural gem planned by Bhagavan, comparable in its magnificence to the grand structure housing the women's college at Anantapur. 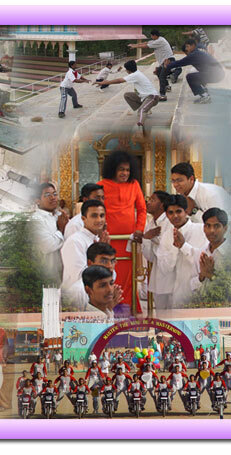 Designed as a reservoir of spiritual knowledge, it promised to transform the land into a place of peace and prosperity. 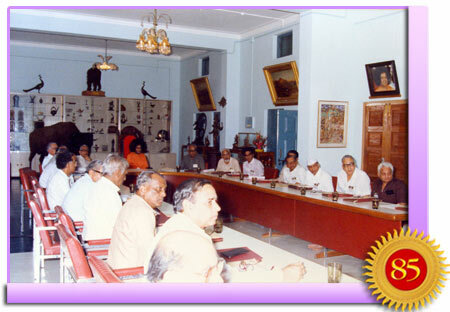 Five years after the university came into being, Bhagavan shocked the then Vice-Chancellor Dr. S. N. Saraf with His announcement that He wished to introduce a Masters in Business Administration programme. Not just that, He also expressed His resolve to begin the course during the following academic year. Within six months, the curriculum had to developed, staff recruited, students enrolled and the approval obtained from an external committee. 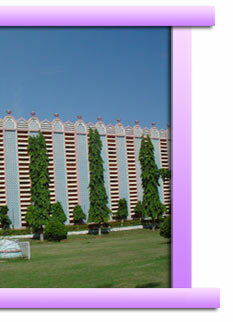 And that is how the School of Business Management, right from its inception, has been very different. Apart from the regular subjects dealing with production, finance, and marketing, it has special courses on values in management, leadership and national perspectives. At that time no other management institute in the world even thought about these topics. The significance of this becomes apparent if we closely watch the changing contours of the corporate scene in the last few decades. Though business, as a discipline, originally started as a way of serving the society by providing a few goods and services, in the last hundred years or so, with the rise of capitalism, its objective has been dangerously redefined to ensure wealth maximisation for shareholders. In 1970, Milton Friedman, Nobel Laureate economist, aggressively propagated the idea that 'the sole concern of business should be the maximisation of profit' and that it cannot accommodate a host of other 'conflicting interests’. Companies have never been so crass as to have such a maxim in their mission statement. Somewhere buried in the corporate psyche is the guilt of failing in their duty to society. The mission statements often have such politically correct phrases as 'corporate social responsibility,' 'sustainable development,' and other buzz-words to deflect inspection while the pursuit of the bottom line of profit continues with undiminished zeal. The resultant social or environmental damage accruing from their activities continues unabated. With the capitalistic frenzy taking over the corporate boardrooms, anything other than economic growth of the company is overlooked, and any shortcut to growth, even though questionable, is welcome. The scene has only become more dismal with the rise of super capitalism in the current times. The Enron collapse, the Worldcom debacle, and the insolvency of Adelphia, the fifth largest cable company in the U.S. are but a few examples that illustrate the factor. And the trend continues, as much in India as elsewhere. Not a week goes by without the news of one big scam or the other being unearthed, despite the implementation of several checks and balances by the regulatory authorities. Can corruption at high places in the corporate world be reduced by introducing more rules? Maybe yes, but it will only be a temporary measure before someone finds another loophole to exploit. The problem, if one analyses it carefully, finds its way to the corridors of the world's business schools. Some social scientists view this situation as perilous to the future of humanity. It poses long-term health hazards to modern society. In such a scenario, for many managers, pay packages and perks become more important than ethics. Economic value takes precedence over eternal values, and money takes the centre stage. One visionary redefined the role, goal and responsibilities of managers. He clinically disengaged corporate success from the no-holds-barred ideology of profit-making at any cost. 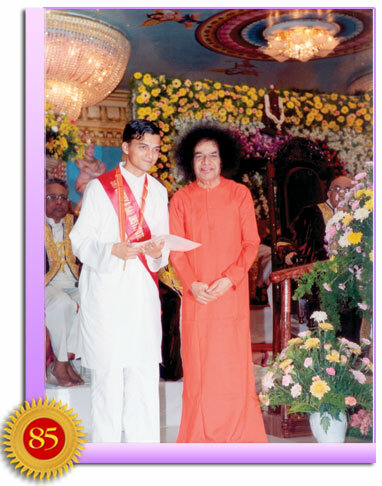 That visionary is the Universal Teacher and the most committed champion of Character Education, Bhagavan Sri Sathya Sai Baba. Given their mandate and its strict limitations, graduates of the School of Business Management proceed into the world of business with surprisingly interesting results. One of them Mr. Jitendra Panjabi, currently working as Macro Analyst with the Capital Group in Singapore, reports: “There was a situation at work where a senior colleague asked a group of us to produce backdated reports and file them to maintain the files in order. Most of my other colleagues complied with this, while I refused to follow it. My stand was that backdating reports was not a righteous action. “I personally felt we have to be honest about our actions, and accept that the processes need to change. This, however, did not go down well with the person concerned. My colleagues, who complied with the orders, were benefited with opportunities, while I was singled out with negative repercussions in the near term. “The pain I went through for taking this stand troubled me for many months, till, one day it reached the ears of the CEO. The big boss immediately came down on the issue, and asked me to bypass formal channels and report to him directly on such matters from thereon. 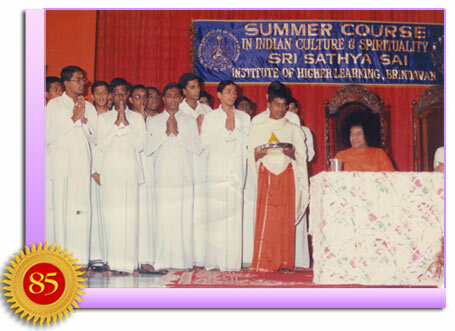 The very first course in the management programme offered at the Sai Institute in Puttaparthi is not “Management Principles” as is the convention in any management school. Instead, it is “Value-Based Management”. And this remains as the undercurrent in all the other subjects dealt inside the classroom and outside. It is no wonder, therefore, that when a graduate of the Institute steps into the corporate world, he is as passionate about values and ethics as he is about performance and progress. 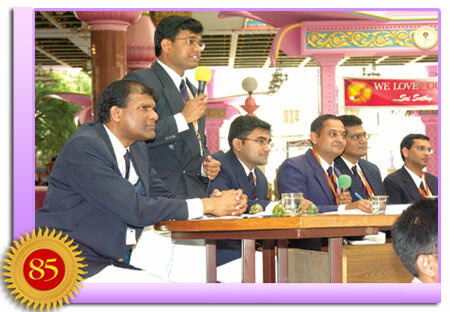 Referring to his learning experiences in the school, Mr. Manoj Gautam, an alumnus serving as Financial Advisor in Sinhasi Consultants, Bangalore, who is now a financial advisor, states: “At the school, we learnt not to earn but to yearn, to command and not demand; to be complete and not to compete. We have been taught to emphasise and empathise; to look at every event and incident in life with the prism of humanness. Elsewhere, students are tutored to be impersonal in the name of professionalism, but we give a personal touch to everything we do, and that is what makes us different from the rest. “Is it difficult to be different? Surely, it is easier said than done. You have to struggle when you stand for a principle. People appreciate what you do, but don't dare to support you when their personal interests are jeopardized. “In one of my earlier offices, I was heading the account section of a particular state office of a private company. Many malpractices were prevalent there. With strong measures, I could stop and change a few practices at levels below me in the organisational hierarchy. “Now, I had no choice; I wanted to follow what I was taught - 'If you cannot influence your company to turn into good, run away from that bad company.' When you do not have enough strength to change others, you should have the strength to change yourself and take corrective course of action. Today, when one looks at the experiences of these alumni of the Sai Business Management School, one sees an achievement, to whatever extent it may be, of the University's grand vision. It offers hope of a new world of business where integrity is as important as analytical ability, men and methods are governed by ethics and morality, and the sole objective of business is not to sell to the society whatever it produces to further its selfish interests, but to serve society with whatever it needs, and in a manner that is economically sound, ecologically harmonious, environmentally friendly and humanely driven, for, truthfully, the business of business is not divorced from the business of life.